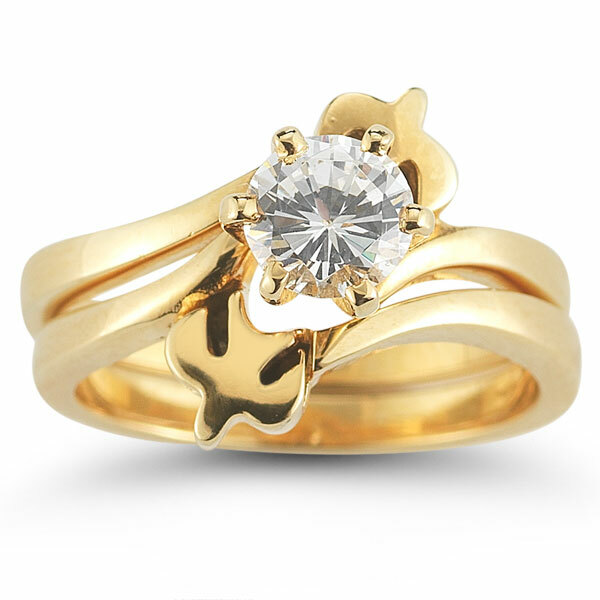 Raise the status of your proposal with a bridal ring set from Apples of Gold. 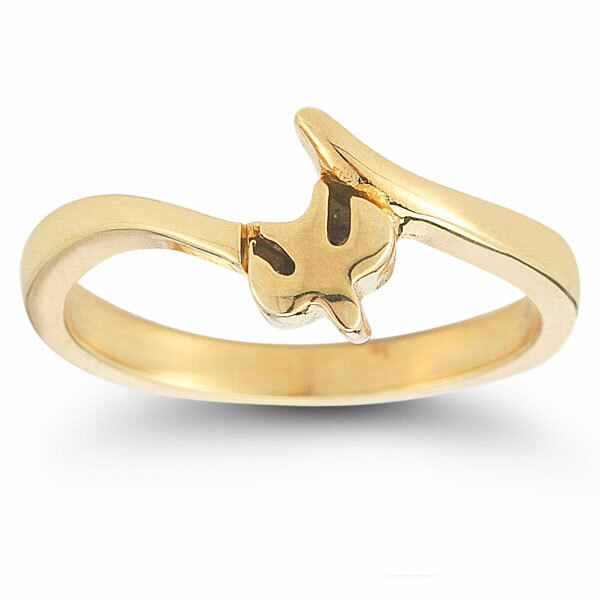 This elegant ring set features two soaring doves that represent the Holy Spirit with the perfect style. Centered between these beautiful birds is a single, round cut diamond, which elevates the brilliance of the ring. Two rings mean twice the glory, especially when forged of high quality 14K yellow gold. 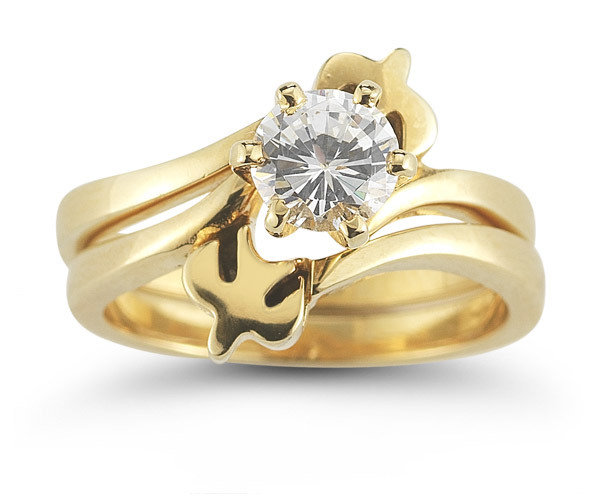 The bands perfectly complement the two doves and bring this bridal set together. 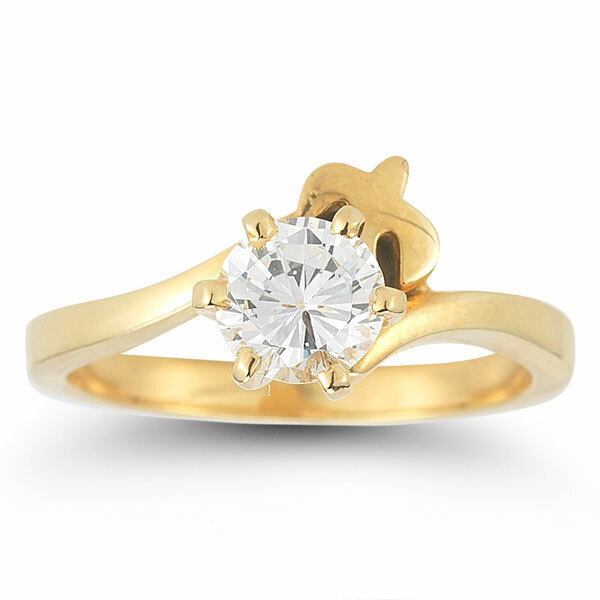 Apples of Gold Jewelry guarantees the Holy Spirit Dove Diamond Bridal Engagement Ring Set, 14K Yellow Gold to be of high quality and an authentic engagement ring with real diamonds, as described above.